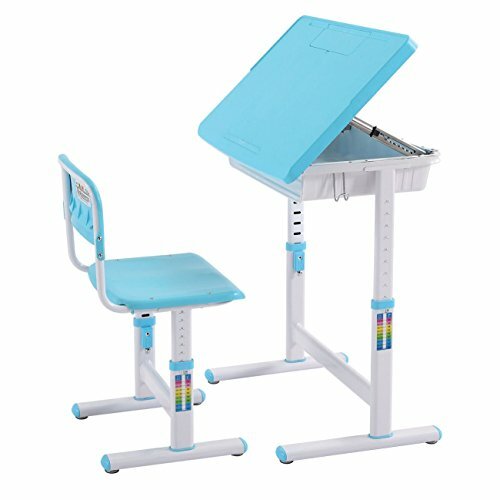 Chende Children Adjustable Study Desk & Chair Kids Interactive Work Station School Desk (Blue) by Chende at Indsight. MPN: Children desk set blue. Hurry! Limited time offer. Offer valid only while supplies last. Do you know? Before the age of the 18 is the best time correct the sitting posture. Help children shape the healthy sitting posture and love study. Before the age of the 18 is the best time correct the sitting posture. Help children shape the healthy sitting posture and love study. Wrong posture will affect the child's health. For example myopia, humpback, spine bend, effectiveness low, foot pain. If you want to drop the desktop, please pull the desktop to the highest and then let it down.